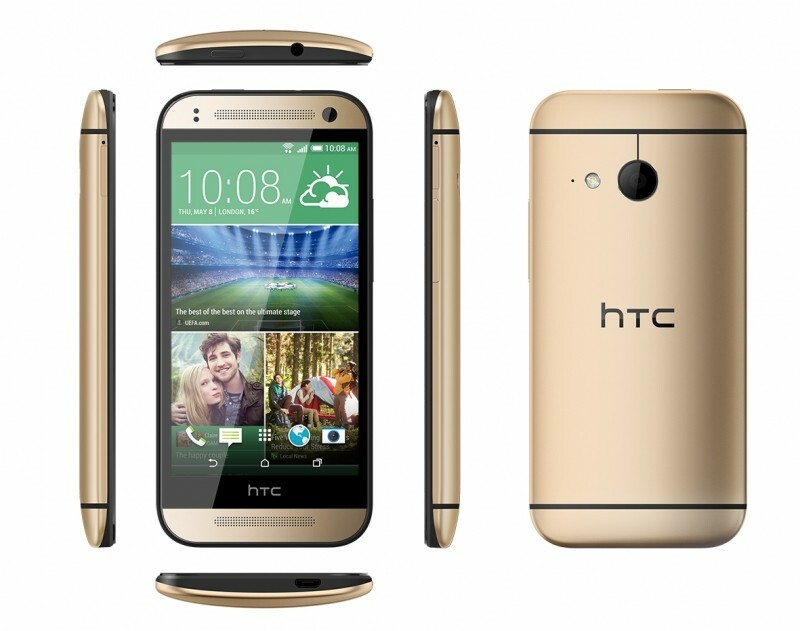 HTC has today unveiled the second of the smartphones in their One line for 2014: the One Mini 2. The device is styled in nearly the same way as the HTC One M8, which we reviewed earlier this year, but there are some concessions when it comes to the specifications. Like the original HTC One Mini, the One Mini 2 uses a Qualcomm Snapdragon 400 SoC, but this time it's the MSM8926 that features a 1.2 GHz quad-core ARM Cortex-A7 CPU and Adreno 305 GPU alongside Category 4 LTE radios. This is essentially the same SoC as seen in the Motorola Moto G, albeit in a higher-end device. Display-wise we're looking at a 4.5-inch 1280 x 720 LCD panel, and other specs include 1 GB of RAM, 16 GB of internal storage, a microSD card slot, a 5-megapixel front-facing camera, and a 2,100 (7.98 Wh) battery. HTC has ditched the Duo Camera for a 13-megapixel shooter in the One Mini 2, which isn't as well equipped for low light photography as HTC's Ultrapixel camera, but should take decent enough photos. The HTC One Mini 2 will be available in Europe and Asia during the first half of June, while there's currently no US launch planned. There's also no word on how much the smartphone will cost, although it will be facing stiff competition from the recently-announced and similarly-specced Moto G 4G, which will shortly go on sale for $219.